Today we talk to Jezreel Joesph a man who over the last year decided to go to war with his Type 2 diabetes and won. Afternoon Jez how you doing? I’m doing great thanks, thanks for having me. How about you guys. Not bad busy as ever, so tell us what inspired you to make these changes in your life? Experiencing too much loss of friends and loved ones. In a lot of instances I think the conditions we face are irrelevant but the lifestyle changes that allow us to become healthier and more active add up to something that is certainly helpful across the board. 3.8 million People in England now have diabetes and record numbers are living with diabetes and at risk of amputations & blindness what are your thoughts on how this can be tackled as a society. I like it you’ve done your research but it’s actually more like 4.6M living with diabetes as of 2018 and what concerns me just as much is the 12M who are at high risk of developing Type 2. I think Diabetes UK have the right idea , there are many services and sources of help that need to be implemented often all at the same time but unfortunately the money and the capability of the NHS to implement all of these is strained. I think if as a nation we were educated more openly and intensively from a young age to comprehend what happens as a result of the lifestyle decisions we make with consideration of the consequences we would be able to steer many people away from Type II Diabetes, and that would be the best preventative and cost effective way to reduce the strain on the NHS I think. 10% of the 4.6M are Type I and we should understand that they have no choice but to maintain the condition from an early age throughout their lives. Jeez I didn’t realise the numbers had got that high, I was shocked by my own finding actually. How have health professionals reacted to what you’ve done? I see a duality in the modern medical industry. Perhaps potentially your doctors might be resistant possibly resentful to a man who decided he has a better plan to improve his health and put diabetes into remission. As modern medicine focused around making people live with a disease rather than beat it. Naturally the weight loss is impossible to ignore as are the results and the fact that I am no longer taking medication, but rather than be quick to judge or cast a negative outlook on the lack of interest I feel I’ve had on the matter I think it’s simply that they are stretched so thin they don’t have time to take in what it is I’ve managed to do for myself. Some might say it would be sensible to question me and my motivations in order to see why I no longer need to get regular top ups of medication all at great expense to the NHS and how I plan to maintain and live a different lifestyle freeing them up to diagnose those that need to be helped as soon as possible to make changes. And help those who were as out of control as I was. 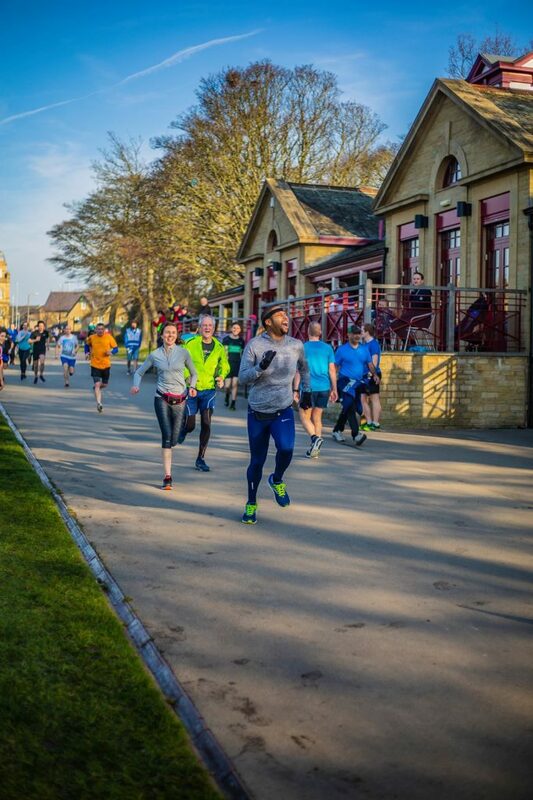 So you’re going to run the London marathon this year I bet you’re excited & daunted at the same time, have you done any other runs in the past, how are you preparing? Up until last week I was a nervous wreck and I’ve still got a lot of preparation ahead of the 28th of April but I went on my final ‘long run’ and will now at least get a little more time to focus on raising the vital funds I want to for Diabetes UK, I am still currently short of my target. Training is hard. Sometimes it means running late at night and others you are up at 4:30 and heading out, in all weathers. There’s only so much you can take on a treadmill. 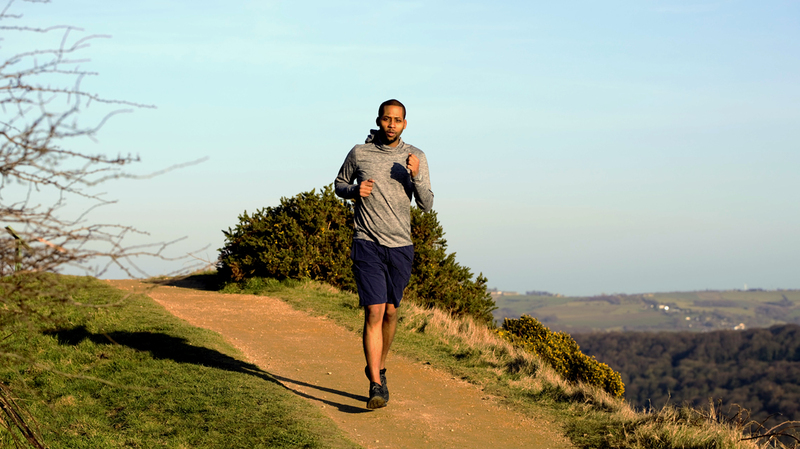 And I also wanted to ensure my training was as close to or harder than what I will face in London and thankfully Yorkshire will never disappoint you if you are going in search of a hill. I am in no way shape or form a ‘natural runner’, and to be honest when this is over I actually look forward to jumping on my bike with the lads and getting out in the summer. It’s been rather lonely at times on those roads clocking up the mileage. Being of West Indian decent I found that the first & second generation of west Indian community is especially effected due to dietary habits & lifestyle & education do you think that is changing or will change in the future? The honest truth is no, I think both generations and the ones that follow are still immersed in a culture that hails the types of food common to the west indies and African countries too, as they well should. I think the food is only half of the equation. The lifestyle associated with those countries is not also replicated. Many people no longer in manual labour or having no option to get from A to B other than walking, or simply choosing to walk in such beautiful weathers. Portions are always too big and even I still have a lot to learn where portions are concerned but even if you took away the food associated with those cultures the problem of lifestyle and activity remains, and if you replace the foods with the fast food or equally bad choices from British cuisine then you still fix nothing. Personally I feel like theres somewhat of a setup in modern society call me paranoid but 3 words come to mind, High fructose corn syrup, what are your thoughts and experiences when you were trying to make these lifestyle changes ? Hmmmm…..you know how to come with the heavy hitting questions… I’ll say this in my own opinion but there are at least 30 or so alternate names for sugar HFCS being only one. And that’s before we consider the types of food we eat whilst totally unaware that if we consume them and don’t burn those foods off the body converts from sugar to fat anyway. There are many ways to avoid these things but it requires diligence and determination to steer clear of these foods altogether. I challenge anyone to go into a supermarket and do a week shop for a family and come away with only foods containing no sugar. I dare say you will struggle and in honesty that’s still only part of the problem. 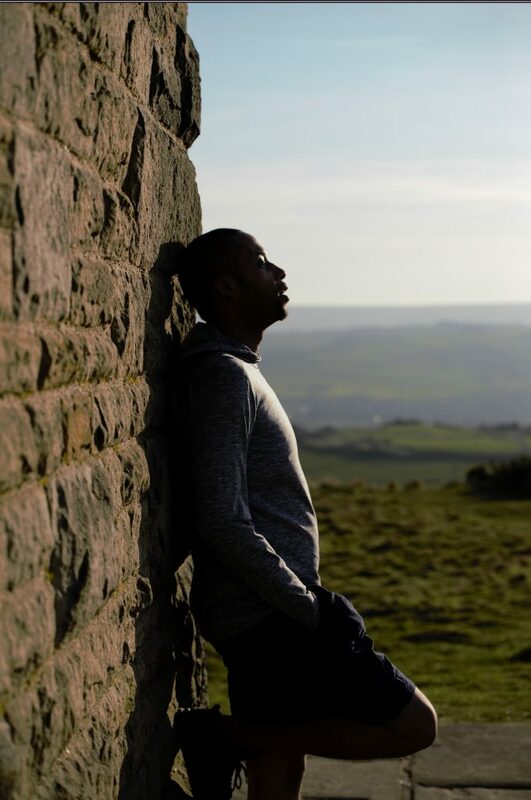 So you’ve recently collaborated with rapper producer Savvy for a new forthcoming video “Endurance” which tells your story, how did that come about, how are you connected to him? I’ve known Savvy for years. I was in his band Savvy and the ‘Savoir Faire’. He has seen my transformation so when I hear the album and the track and then we caught up recently it fell into conversation and I instantly agreed. I’d say most of the details are there in terms of resembling my story and all it balls down to for me is this in order to make changes in our lives, whether they be small and trivial or drastic and life changing, each of us is likely to find a struggle along the way and its only through endurance that I think those struggles can be prevailed upon. Never mind the song the ALBUM!!! Master piece that it is really resonated. 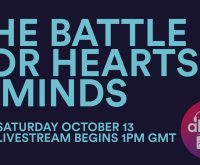 “The Battle for Hearts and Minds”, where do I start? It’s just the perfect descriptive for the journey I undertook and I battle with my own heart and my own mind relentlessly. But hopefully emerged with a warrior’s mind set and whilst I still have some way to go, for the time being I am feeling victorious! This quest of yours isn’t just personal though is it, you setup www.whathappenedtojez.com can you tell us what the site is all about? Well with every war comes the recounting of various battles and how you triumphed over the rebels. I created it because I wanted to show people what it is to fight diabetes and the lengths to which I went to do so. I use methods which are definitely not mainstream and to be honest we could sit here another 3 hours and only scratch the surface. But I wanted to responsibly and truthfully open up a larger discussion about my journey and hope that if even one person is affected enough to not necessarily replicate but to simply be motivated to make changes in their lives then that was what I would do. I would say that I am more comfortable behind a camera than in front of one but I always try to speak to people and allow them to see what they and all of us are capable of doing. But my journey was not a simple one so I created www.whathappenedtojez.com because it was the most common question to be asked when I finally started highlighting to people the changes I had made to my life.